You Don’t Know Jack tells the fascinating story of a pioneering American entertainer Jack Soo, an Oakland native who became the first Asian American to be cast in the lead role in a regular television series Valentine’s Day (1963), and later starred in the popular comedy show Barney Miller (1975-1978). Featuring rare footage and interviews with Soo’s co-stars and friends, including actors George Takei, Nancy Kwan and Max Gail, comedians Steve Landesberg and Gary Austin, and producer Hal Kanter, the film traces Jack’s early beginnings as a nightclub singer and comedian, to his breakthrough role as Sammy Fong in Rogers and Hammerstein’s Broadway play and film version of The Flower Drum Song. The film also explores why Soo, a former internee who was actually born Goro Suzuki, was forced to change his name in the post WWII era, in order to perform in clubs in the mid-west. Because of his experiences, throughout his career in films and television, Soo refused to play roles that were demeaning to Asian Americans and often spoke out against negative ethnic portrayals. Directed by Jeff Adachi, whose award-winning film The Slanted Screen premiered at SFIAAFF in 2006, You Don’t Know Jack reveals how Jack Soo’s work laid the groundwork for a new generation of Asian American actors and comedians. The 60-minute film tells Jack Soo’s story through a montage of film and television clips, rare footage, interviews with family members, friends, co-workers, and others who knew him best. From his early appearances on programs such as The Jack Benny Show and Valentines’ Day, Soo’s life is examined both in the historical context of the times, and the grandeur of an earlier Hollywood where stars like Soo succeeded in a multitude of artistic mediums, reminiscent of vaudevillian times. From Soo’s early training as an announcer and stand-up comic, to his singing, acting and dancing career on Broadway, culminating with his signature role as Detective Nick Yemana, Soo’s unique talent and dedication to his craft are fully explored and captured through a fascinating presentation of images, music, montages, interviews and stories. Featured interview subjects include Nancy Kwan who was Soo’s co-star in the film version of Broadway Flower Drum Song; Soo’s co-stars on Barney Miller, Max Gail and Steve Landesberg; Hal Kanter, the creator and producer of Valentine’s Day and George Takei, Soo’s friend and co-star in The Green Berets, directed by John Wayne. The film also digs deep into Soo’s past, including interviews with Soo’s daughter and close friends, former Topaz internees, former Motown executive Al Abrams, and others who knew Soo at key points in his life and career. Ironically, it was Soo’s friendship with another Caucasian comic, Danny Arnold, who he had met in the late 1940’s while they were both performing in nightclubs in Ohio, that helped Soo secure his most prominent television role. Arnold had said that he wanted to produce shows in Hollywood and that he would find a role for Jack. Three decades later, when Arnold developed a comedy series about a diverse group of New York cops, he hired Soo to as a member of its regular cast. Arnold later said, “I wanted (Soo) in this show not because I wanted a Japanese cop. I wanted Jack’s humor.” The film explores Soo’s friendships with Arnold and other entertainers of the times, including Jack Benny, Tony Franciosa, and Ross Hunter, who produced Flower Drum Song and Thoroughly Modern Millie, and how those friendships influenced Soo and his career. The film also explores Soo’s decision to change his name. 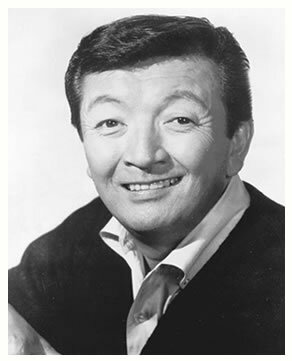 Performing as a comic and singer in the mid-west in the post World War II era, Soo changed his name in order to perform without fear of retaliation. When he was hired to star in the Broadway production of the Flower Drum Song, Soo tried to change his stage name back to Suzuki to reclaim his Japanese ancestry, but was told by producers that they preferred the name Soo to Suzuki. The film ties rare footage of Soo’s performances to illustrate the breadth of his talent and versatility of the roles he played. From tough cops (Police Story), to a notorious gambler and charming con-man (Valentine’s Day), to the handsome, swinging club owner (Flower Drum Song), bookmaker-investigator (Monk) and the cunning crime boss (Hawaii Five-O, Ironside), Soo played a variety of characters, never failing to leave his one-of-a-kind stamp of humor, wit and comic surprise on the roles that he made his own for all eternity.